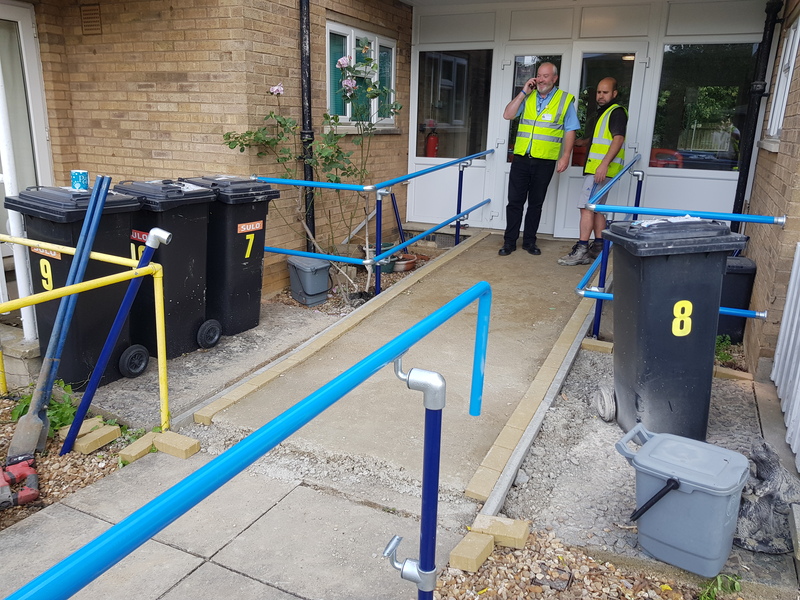 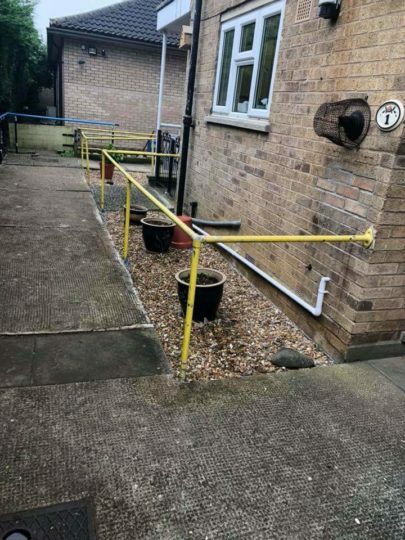 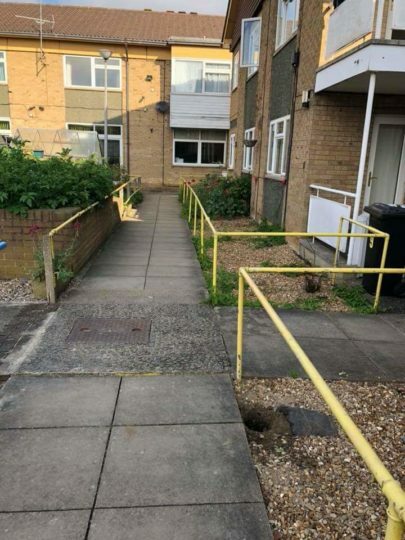 We had been contacted by Deaf Blind UK to overhaul their residence area in Peterborough. 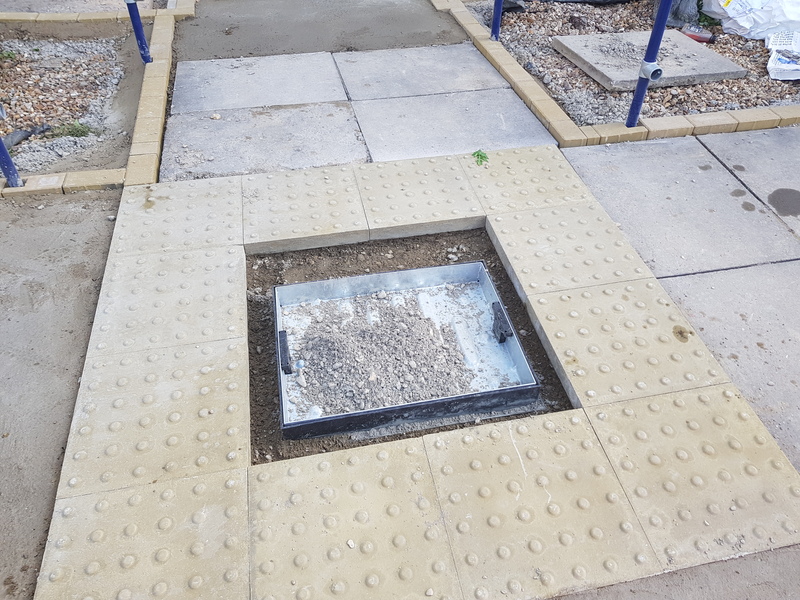 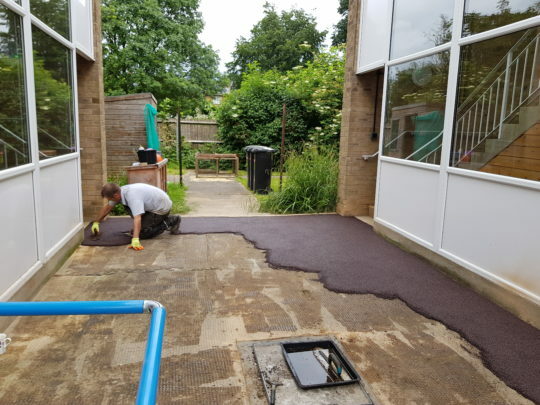 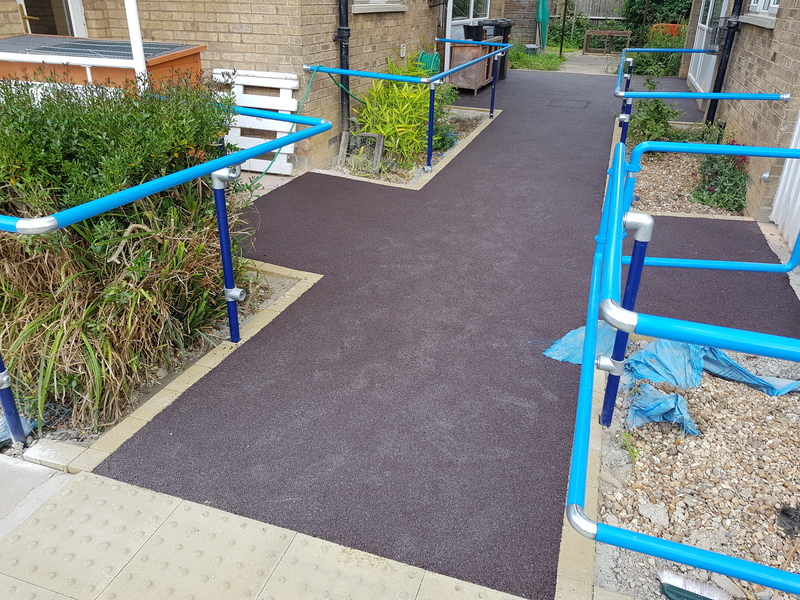 It was recommended that Resin Bound was used for pathways as this would provide a good solid surface available in a variety of colours that would also require minimum maintenance. 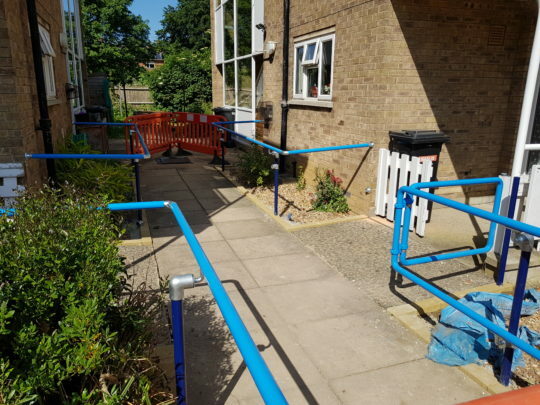 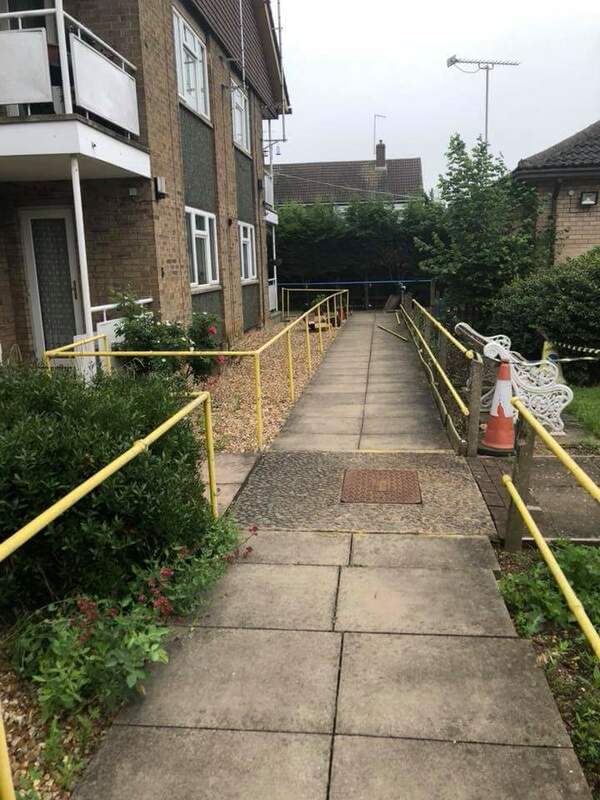 Existing railings would be taken down and replaced with bright blue railings of the recommended heights and sizes for vision impaired residents. 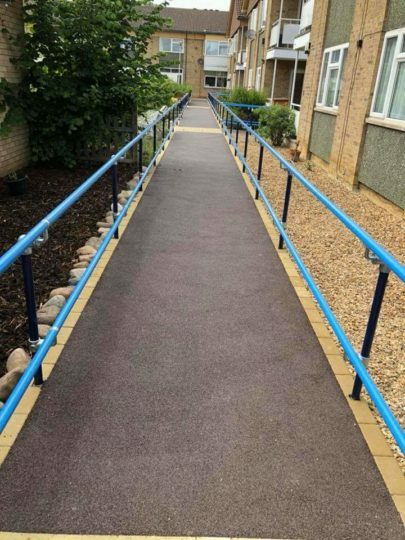 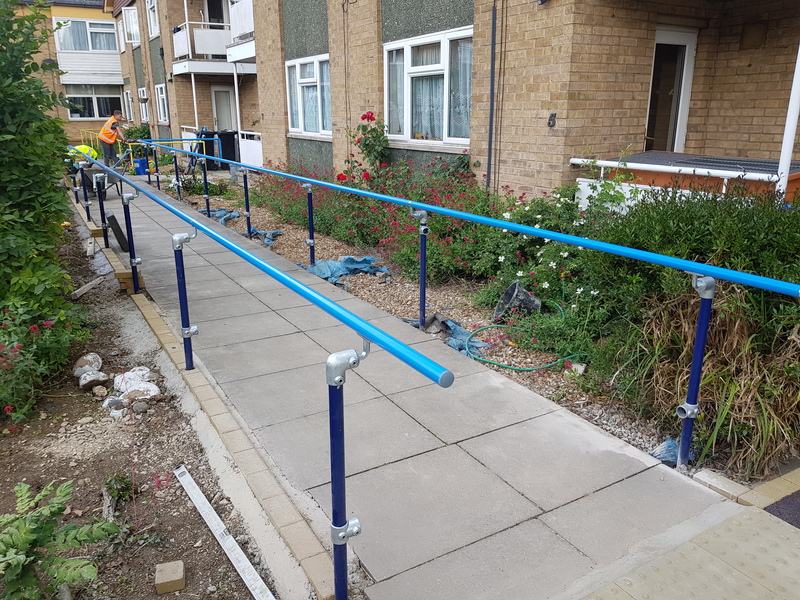 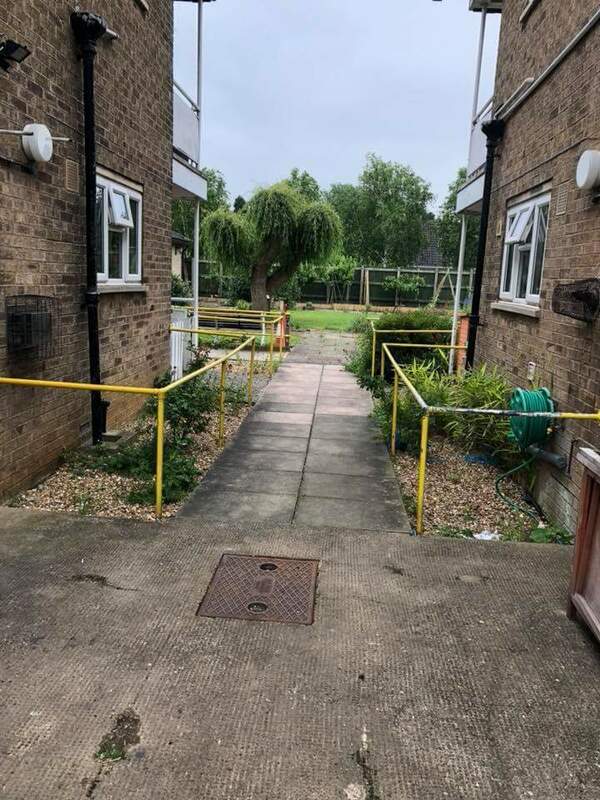 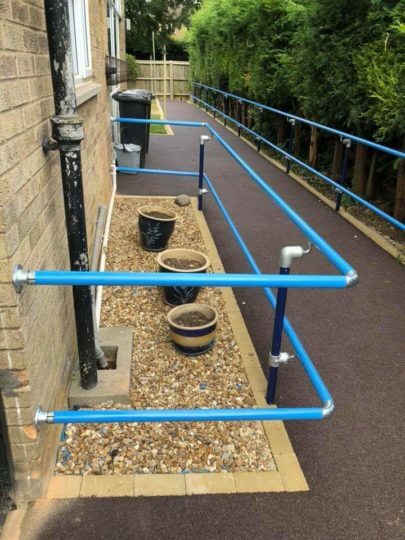 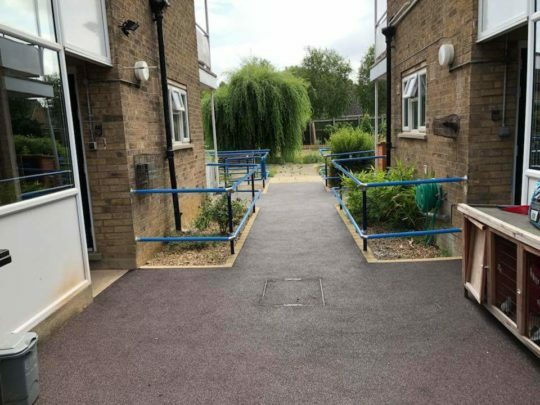 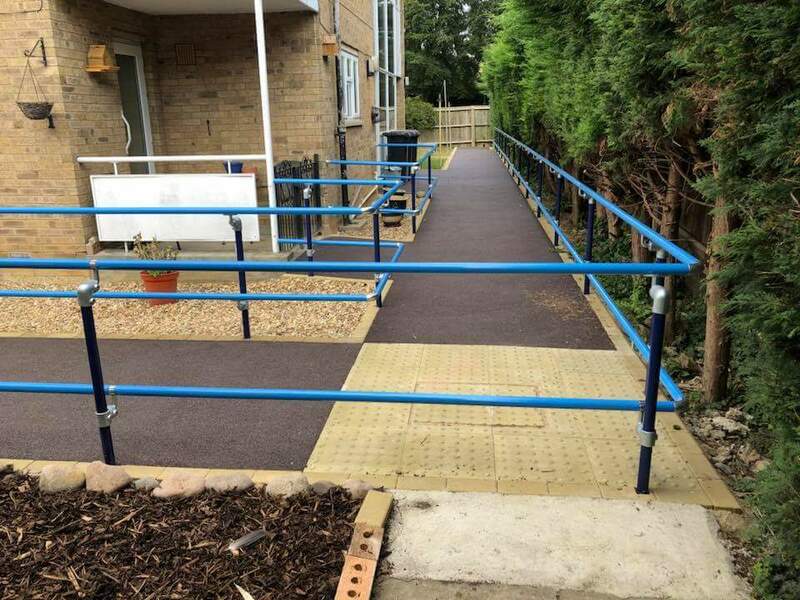 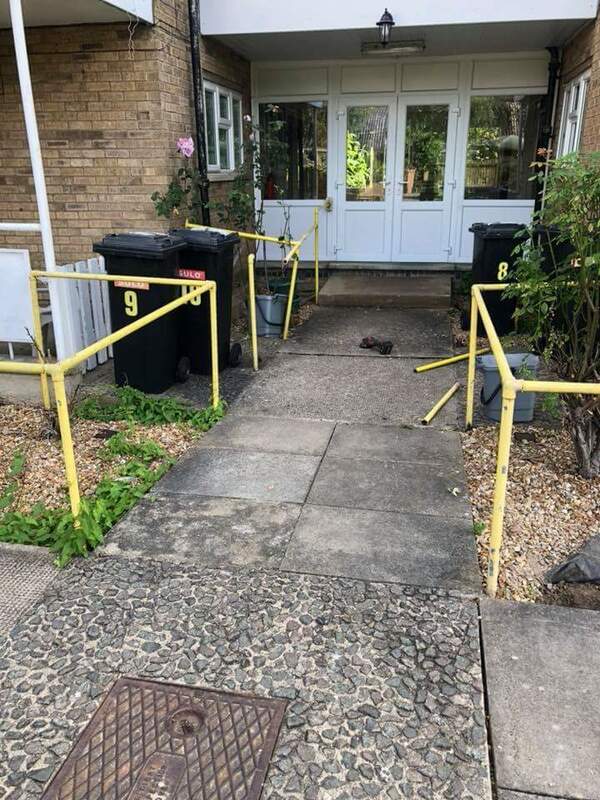 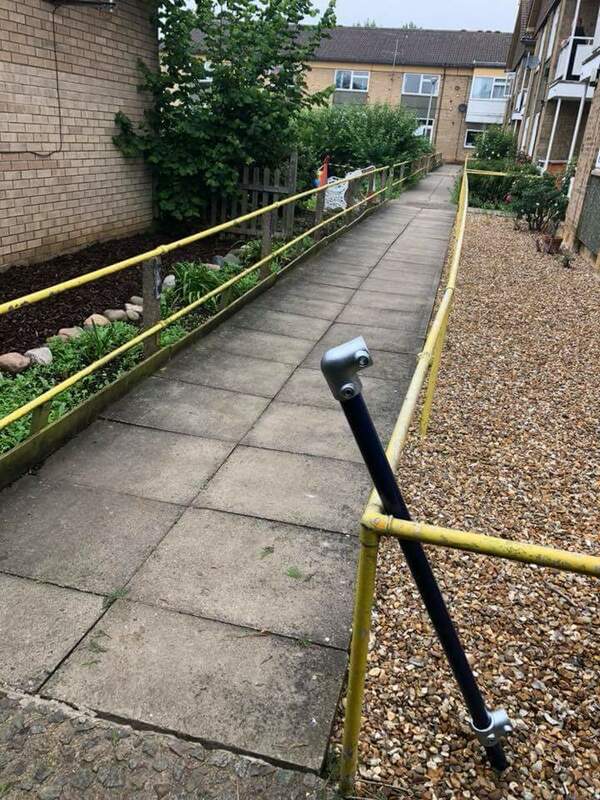 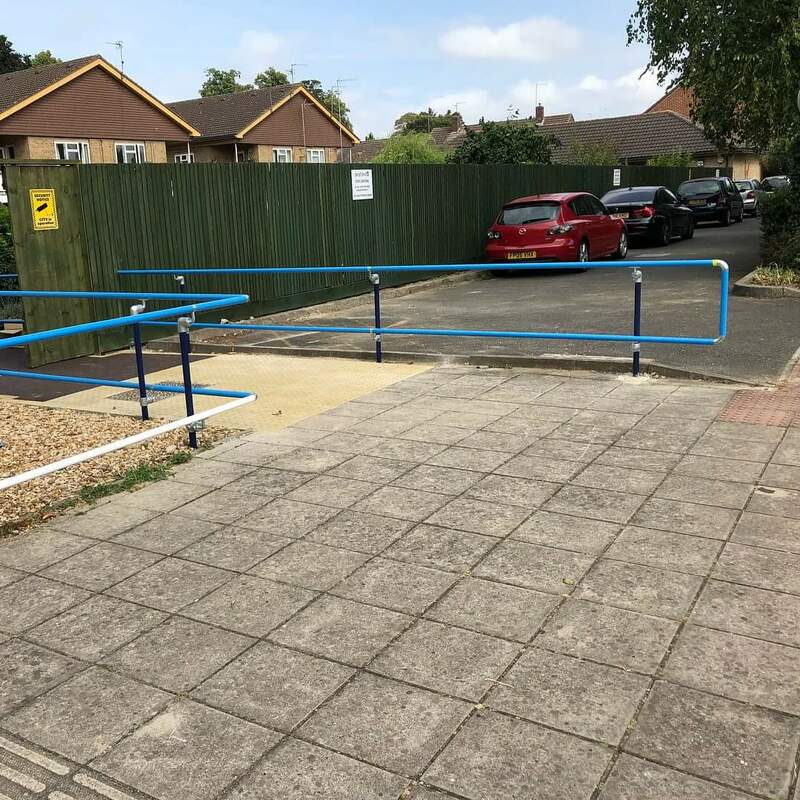 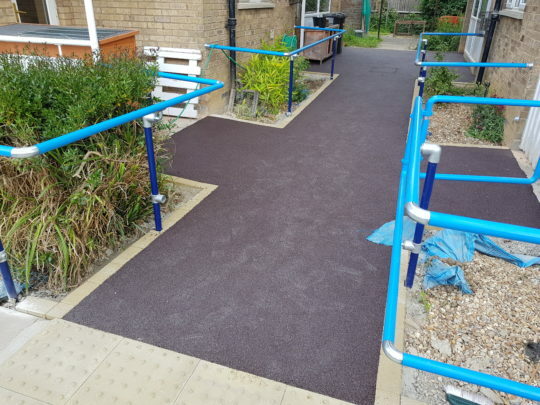 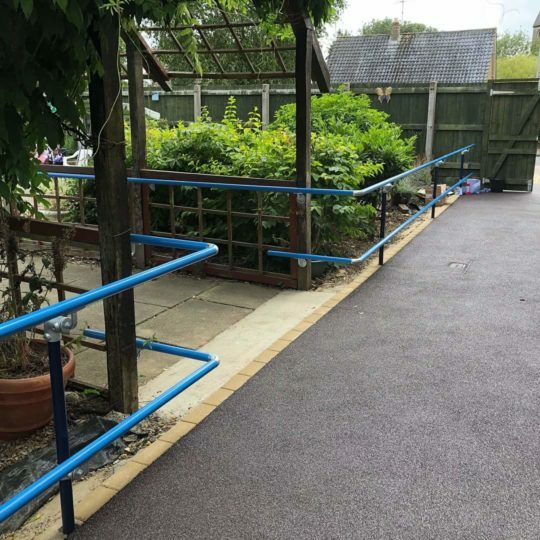 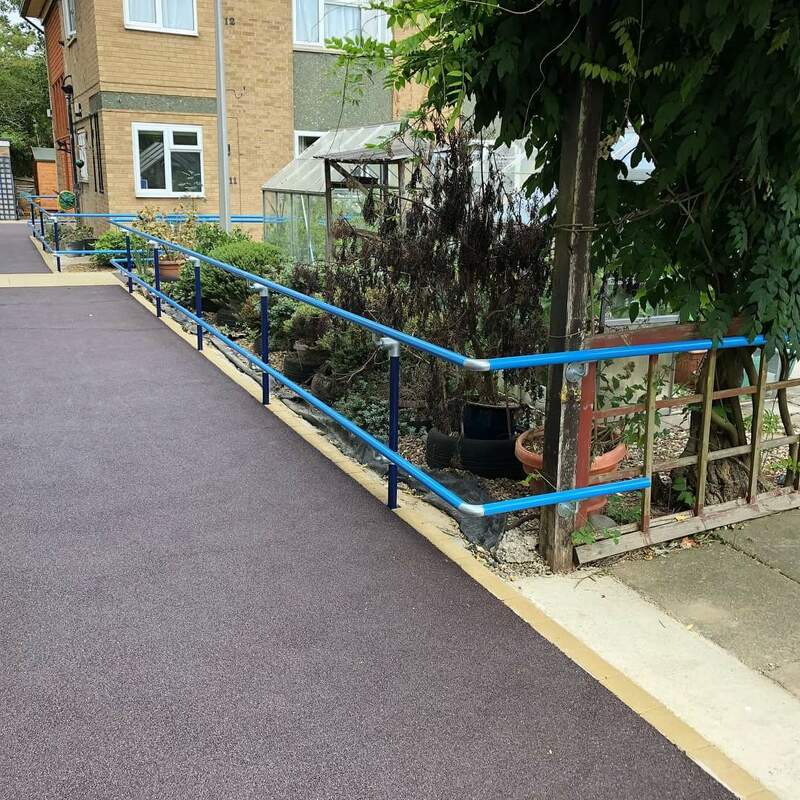 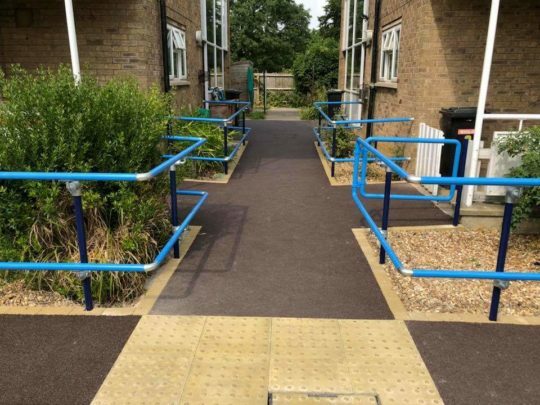 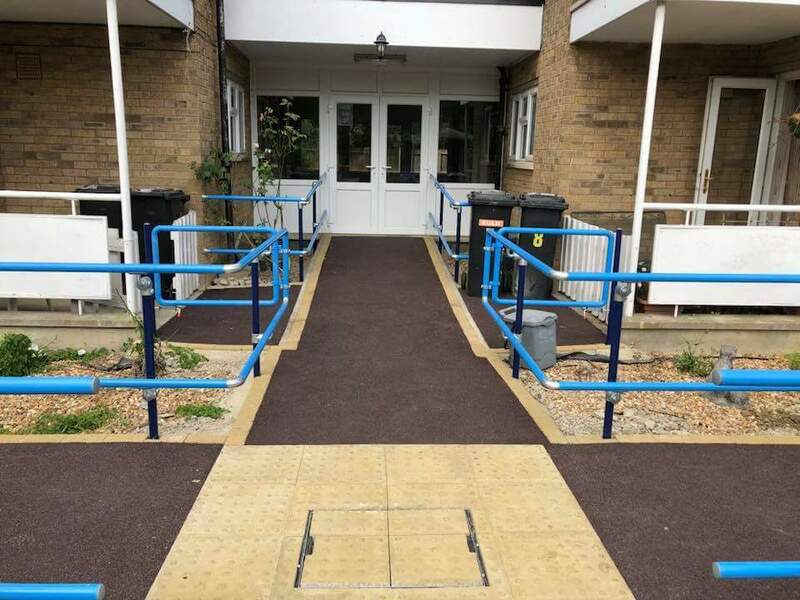 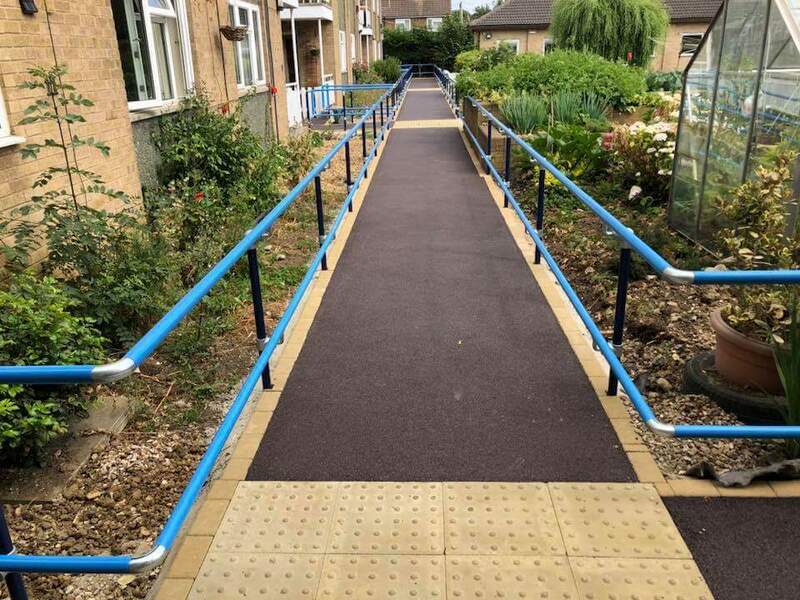 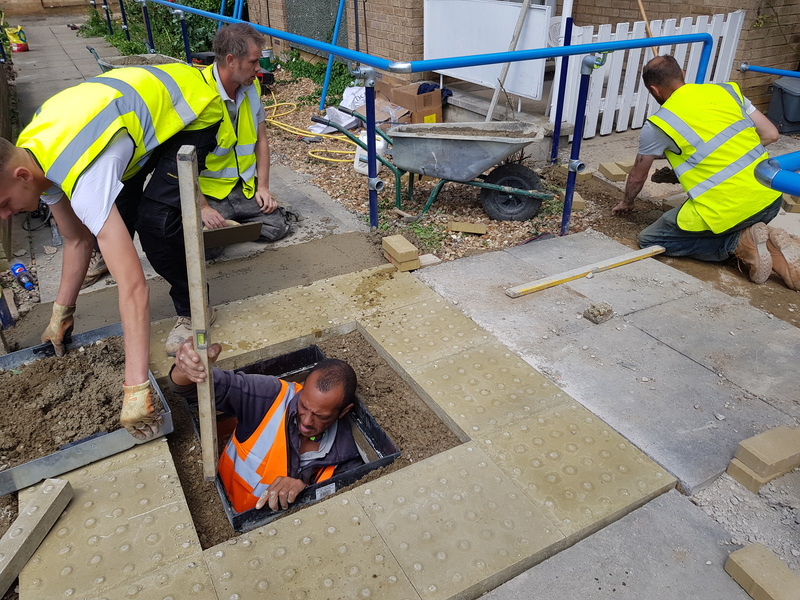 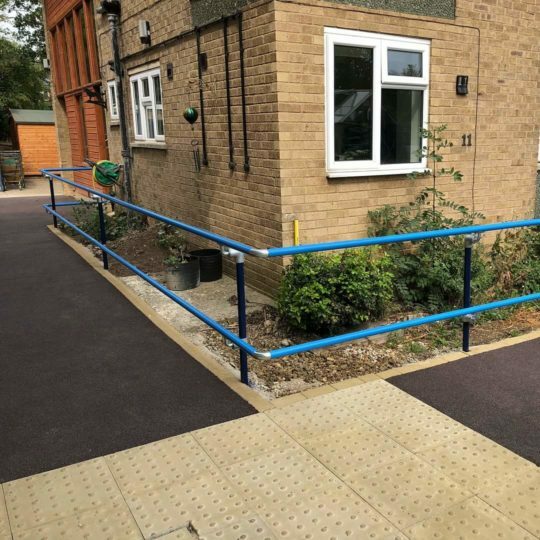 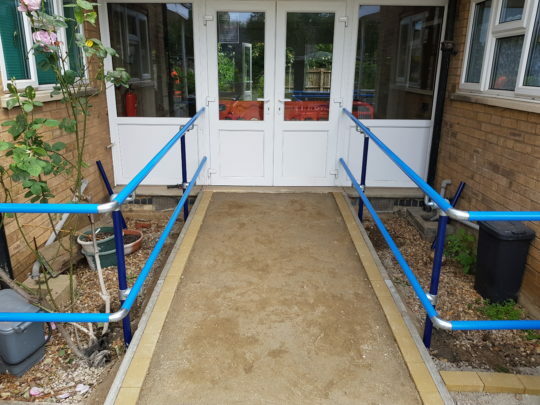 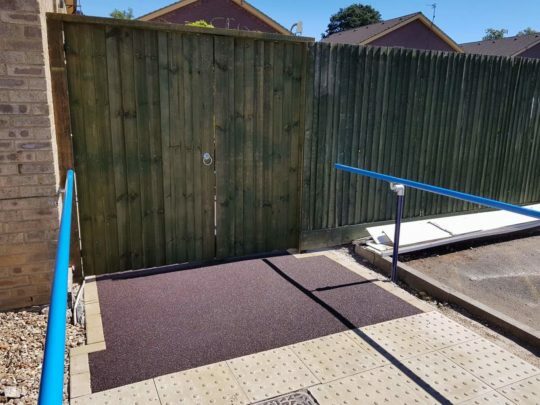 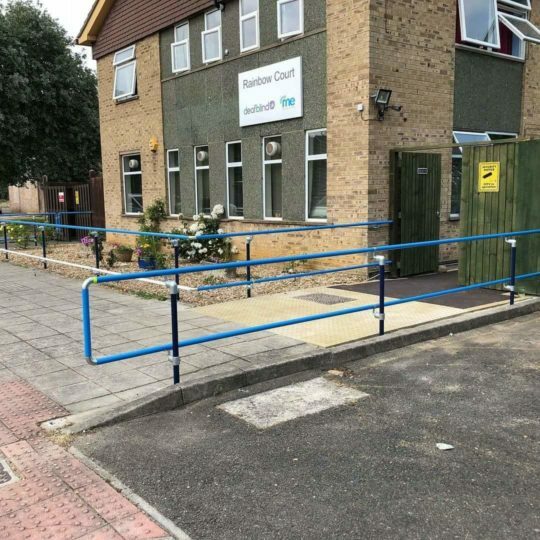 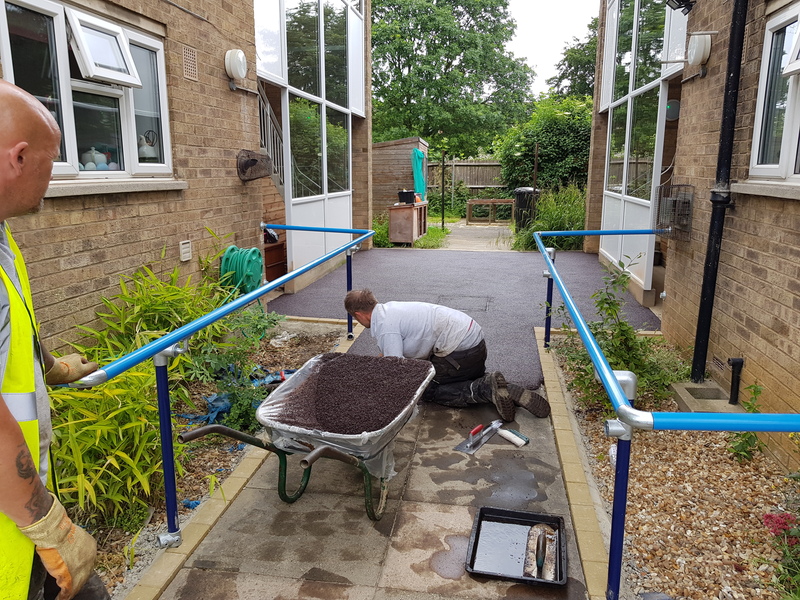 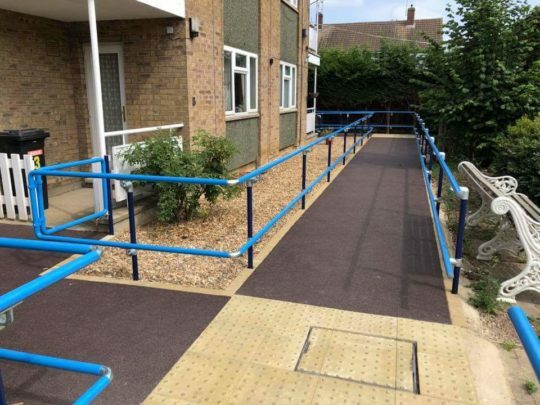 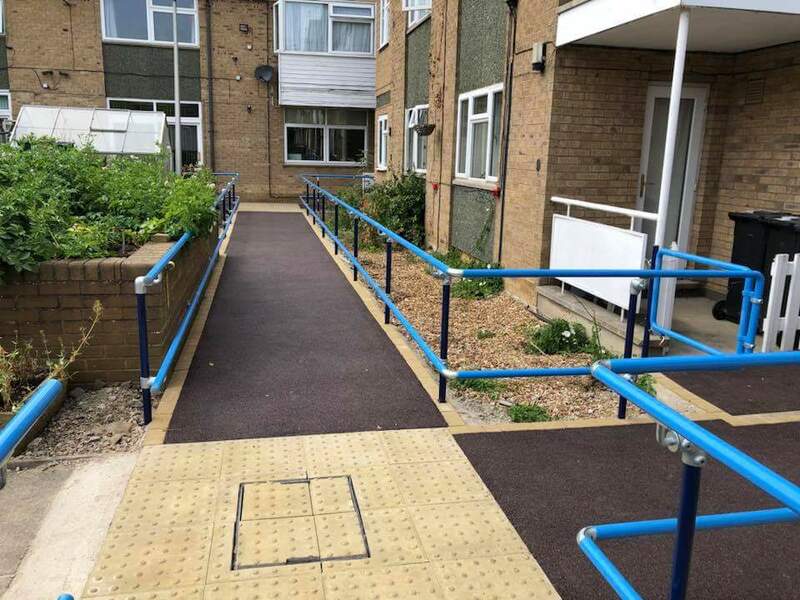 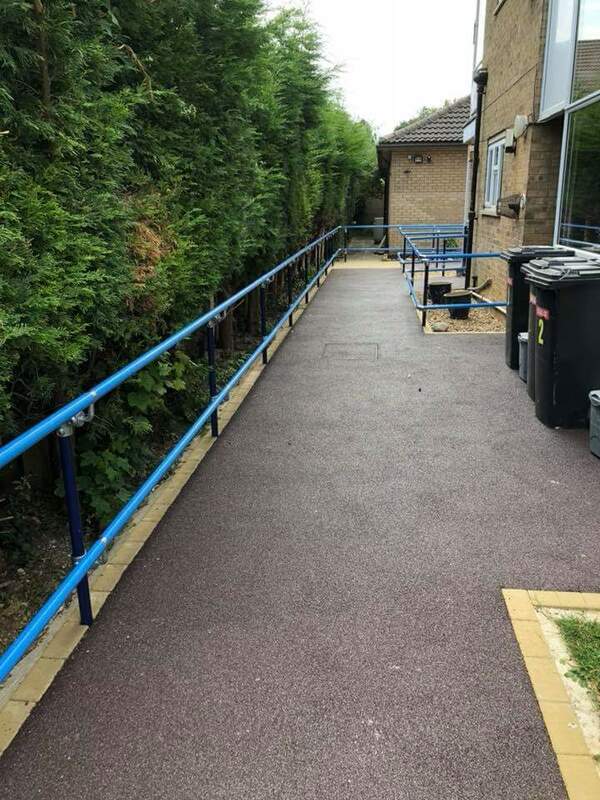 The existing base was prepared for new resin bound pathways, old railings were removed and new railings installed with the Resin bound pathways and block edgings installed as the railings were installed to keep disruption to a minimum for residents.